He loves adventure but without me he’d never get out the door. He’s good at multitasking. He can figure out any problem, fill out any paperwork, and procrastinate all at the same time. I send the reminders. We use to think that working together, meant working together. He asked me to help with the finances and I asked him to attend my woman’s health class on gonorrhea. We now know that working together means working towards the same goal but different roles. I hate to organize. He thrives on it. He dots his i’s and crosses his t’s. I dot my t’s and cross my i’s. Our work sites are often dangerous and its good to have each other. I spend money, he hordes it (unless it’s Apple). I share everything, he glares at me. We often have the same ideas. I hit go, fall on my face. He thinks about it, thinks about it, thinks about it. . . and it gets done right. I hate paying bills. If it were up to me, we would be looking at bars. He’s a pessimist (realist) and I’m an optimist. Both are useful at times. If it were up to me, we’d have a husky farm here in the tropics. Again, he’s the realist, its a good thing. Telling him to “calm down” works about as well as trying to baptize a cat. He hates them both. We don’t argue, pretty much realize its a waste of energy. Disagree – give it some time. Go on. For years, our work required taking the baby along. I’d remember the car seat, diapers, my purse. Yet, all he could talk about is how I forgot the baby. He remembers everything! . . .What was I talking about? 6 AM obligations: me. 9 PM obligations: him. We often google talk. We won’t let the other finish their sentence without coming up with alternate suggestions. The outcome is often the right page. I manipulate to make myself look good. He tells the truth and makes us both look bad. Some wives stop their husband when he has a bad idea. I pick up a camera. I make him laugh. Usually a year later when he sees the video. Bazinga! I cook, he cleans. I clean, he recleans. For me partnerships are everything! For him, the task at hand. Without him, I’d accomplish 0. Him without me, no partnerships. Coffee, so we can say and do stupid things faster. I’ve learned, coffee before convo. I love to write. When a grants on the table, nothing holds me back! He just wishes I would do it in a bikini. Same work site: I look and say “it’s excellent!” He looks and says “we gotta lotta work to do!” We’re usually both right. He’s serious. I play too much. We both talk too much. We both lead but I can follow where there’s another leader. He leads period. He speaks truth. I will tell you what I think you want to hear. We’ve learned to enjoy the quiet when the job is done and give each other the time and space for hobbies. I’ve learned to forgive rather than move on when things get hard. To see the good in him and others instead of exaggerating the bad. I’ve learned that nagging is useless and a damaging tool. I’ve studied personalities and learned to be compatible, flexible. Our love for each other has grown more over the years and more deeply because of our work together. We both know without our faith, neither of us could accomplish it. 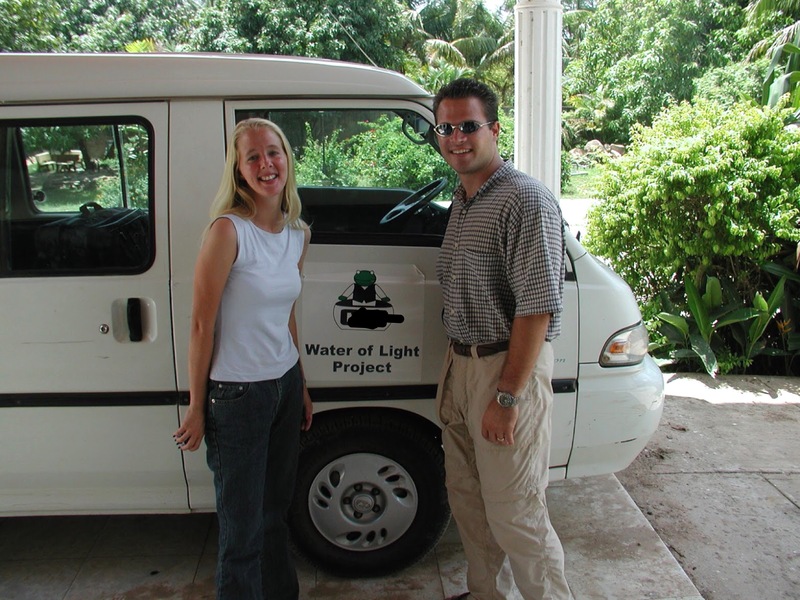 For 16 years, we have worked together starting a non-profit organization in Southeast Asia. Overall, we’ve been together for almost 24 years. We wouldn’t change a thing about our journey together. Please take a moment to share this blog on your favorite social media sites! Our first year working together. The 4 Best Lessons I Learned When My Husband Became My Colleague. Thank you Miriam. Honestly that was the most fun I’ve had writing a blog! Your welcome. I’m glad you enjoyed it! So many of those are true of G & I! I agree, there’s nothing I love more than partnering with my mate in life, work & ministry! It’s obvious both from this post, and from the photos, that you both are a great fit. 😂😂thank you Gabe! I always cherish your feedback.